Are you having difficulty in putting together your Budget Analyst Resume? You do not need to over analyze everything and just allow us to help you write a resume that will get you noticed and invited to interviews. We will share with you our proven formula for writing an effective application. To clearly demonstrate the format and wording, we prepared a Budget Analyst resume example for your reference. To seek employment as a Budget Analyst at one of the most prestigious business corporations in the United States and to advance my career in a challenging environment where I can improve my competencies and enhance my skills. A dedicated Budget Analyst with 8+years of work experience seeks the opportunity to join Goodrich Finance as a Senior Budget Analyst. Committed to developing financial plans that will help your clients reach their financial goals, maintain profitability and attain long-term growth. Writes comprehensive reports on expenditures; budget allocations, revisions, and performance. Monitors 8 departments’ budget and expenditures and meets with supervisors to discuss appropriate steps to correct significant variances. Executed budgets ranging from $5 to $50 M for various clients and projects. Formulated cost-cutting measures and justified revised budget allocation which improved profitability by 70%. Identified key causes of variances between budget and expenditures. Reallocated financial resources which led to improved production output by 80% and increased year-end profit by 50%. Assigned to cover 20 clients – small to medium scale businesses. Prepared annual budget and financial forecast. Evaluated expenditures and recommended revisions in funds management. Monitored effectiveness of budget plans and proposed full implementation after target results are achieved within trial the first period. Produced easy-to-use, accurate and detailed monthly financial reports for clients’ department heads which improved fund management. More than likely, your future employers are sick of all the generic and typical resumes that arrive on their desk. With the number of applications that are sent in everyday, you can bet that their eyes are blurring with all the standard resume entries conceivable to the working force. Hence, it is in your best interest to create a resume that won’t get lumped with the run-of-the-mill applications. Research on what the company is looking for in the ideal candidate, put a lot of thought into what qualifications of yours would fit the bill, and highlight those strengths. This way, you are not only making your recruiter’s life easier, you are also increasing your chances of getting hired for the job. It goes without saying that your resume should also be free from any kind of errors. Are you in the habit of committing yourself to someone you just met a few seconds ago and know nothing about? Just like the process of selecting your life partner, you should put a bit more effort into knowing all you can about the establishment where you might be working for a considerable amount of time. You should not just jump into an opportunity to interview with a corporation without at least knowing the type of transactions it deals with, its history and philosophies, and the kind of working conditions existing within its walls. Equip yourself with pertinent facts about the company such as these, and you will find yourself in a better place to reach out and grab the job. 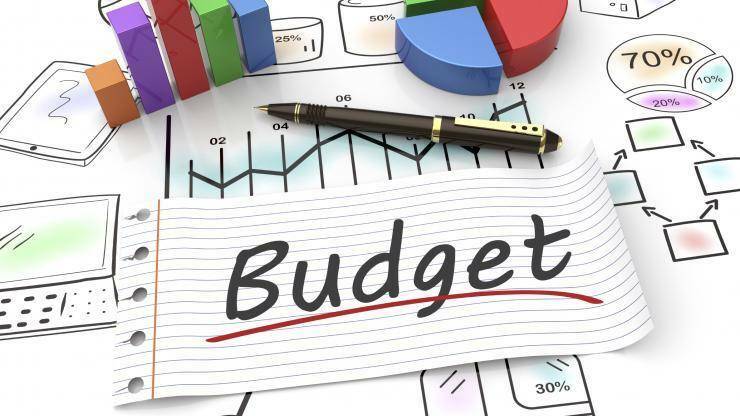 Can you describe a budget report you prepared which you think was particularly effective? How about one that completely bombed? Share an instance during your past work experiences in which your attention to detail and thoroughness had a great impact. How do you create a balance between cooperation with others and independent thinking? Can you cite an instance when you volunteered for extra tasks or obligations? What did you do to ensure success in the performance of all these additional responsibilities? If hired, how long do you think you will be staying at this company? What support structures does the company have in place for the professional growth of its employees? How big is the accounting team? What kind of forecasting and budgeting software does this company use? 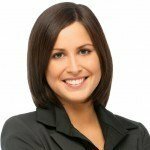 How often should probationary and regular employees expect to be evaluated? What channels should an employee go through for his concern to be addressed by the company? In the ideal world, the outer appearance would not have any bearing on an applicant’s chances of being hired. However, you are not a character in a fairy tale where everything will be okay at the end. This is the real world; you need to crush your competition in every way possible! Put on the most suitable interview outfit you can find – slacks, suits, blouses, dress shirts, and appropriate shoes. Adhering to the dress code will definitely increase your chances of getting a happy ending in this realm. Go over the job post thoroughly so you can match your Budget Analyst resume skills list with the employer’s qualifications. Remember to keep your list relevant to the position, if it has nothing to do with budget analysis or financial planning leave it out of your resume. As you may have noticed in our example for Budget Analyst resume, proper placements matter. It your skills are presented in a disorganized manner, the Hiring Manager will not waste time connecting the dots. Just like accounting is all about making sense of figures, your resume must help the recruiter see the relevancy of your qualifications. Here are the top skills that we found in most of the Budget Analyst job posts we reviewed. Education. You need to complete a Bachelor’s degree in Accounting, Business Administration, Economics, Finance or Statistics to be eligible for this job. Some employers require a Master’s degree for senior positions. If an advanced degree is required, make sure to indicate it in your list of strengths so the hiring manager can immediately take note of it.Include special courses you took to show you are updated with the latest developments in your field. Certification. Many budget analysts work for the government. If you wish to go into that direction, you need to get certified by Association of Government Accountants (AGA).To qualify for the certification—Certified Government Financial Manager (CGFM), you must have a bachelor’s degree in a finance-related field and at least two years of experience in government financial management. Certified budget analysts are required to take 80 hours of continuing education every 2 years for renewal of certification. Effective Communication Skills. Budget analysts must have the ability to explain their recommendations effectively to clients or executives from different departments. 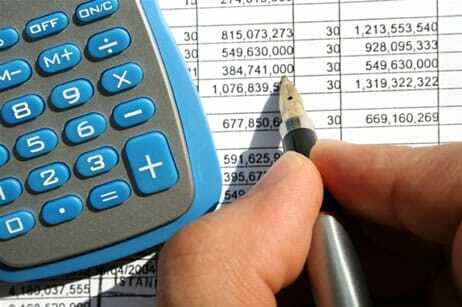 For example, if cost cutting measures need to be implemented to improve the financial health of a company, you will have to write and discuss proposals on how to curb expenses and restructure finances to the people concerned.It is not enough to show them equations as this can be confusing. You must be able to articulate your budget plans in order to merit support. In some cases, you will need to be diplomatic in declining requests for additional funding or recommending a budget slash. Strong Attention to Detail. A budget analyst must have a keen eye for detail to ensure accuracy in preparing forecasts and reviewing a breakdown of expenses. You will monitor how every dollar is spent to make sure that the company or department involved keeps their expenditures within a limit. Discrepancies cannot escape you either as the company relies on you to safeguard their finances. Efficient multitasker. The stress that comes with deadlines and tight work schedules can take its toll on budget analysts. You have to be able to create a systematized approach so you could cope with the multitude of tasks all throughout the budget cycle – development phase, mid-year review and final budget review. A well written Budget Analyst resume objective has the power to tip the odds in your favor in a matter of five seconds. Use the objective statement to briefly describe how you can be of value to the company. Hiring managers look for striking introductions, the kind that compels them to read the rest of the resume. Avoid generic statements unless you want your objective to look like a shared Facebook post. How do you write your resume objective for Budget Analyst? Highlight your top skills to create a strong professional impression. Add years of experience and the position you seek. Lastly, state what you intend to contribute to the company. These qualities are highly evident in our resume sample for Budget Analyst. We started out with a strong attribute, “dedicated” and emphasized the more than 8 years experience in the field of budget analysis to frame the objective which is to become the Senior Budget Analyst for Goodrich Finance. To that regard, always include the name of the company you are applying for in the resume objective. It gives it a more customized feel and is very much appreciated because the objective statement is viewed as your way of introduction. The reverse chronological type will be ideal for your Budget Analyst resume format. This will allow the hiring manager to go over your career history quickly without missing a single detail. Make use of bullet points to present your list of strengths and work responsibilities and remember to keep your sentences brief and concise. How many bullet points per job? Five will do for previous jobs held while you can list more for your current job. However, do not go overboard and go beyond 10. You will have a chance to discuss your work at length during the interview so keep the details at a minimum level. As long as you highlight your certifications, additional trainings, educational achievements and relevant work experience, your entry level Budget Analyst resume should still receive consideration from potential employers. For example, if you are looking at a career as a Budget Analyst as a transition from your current occupation, emphasize skills and experiences that are transferable or relatable. It is never wise to hide any information to the recruiter. Use the resume objective to win the understanding and empathy of the person reviewing your application. You can do this by telling a story on why you want to transition to a new career as a Budget Analyst and how your current experiences can be of value to the company. Take your cue from the company’s mission/vision statement and weave that into your resume objective. Think of additional skills that can give you an edge over another applicant with the similar qualifications. When writing your bullet list, it is important to relate your skills with the tasks and accomplishments. Mention who you worked with or for, and do not forget to state the outcome of action taken. Take time to review how we crafted the job description for Budget Analyst resume. We used strong action verbs like analyzed, assessed, budgeted, recommended, restructured, coordinated, collaborated and supervised. Show how productive your efforts were by quantifying results or contribution. Don’t forget to use numbers when writing responsibilities or duties at work in order to create a stronger impression. Need to see more resume samples and templates to better understand how to write a budget analyst resume? Here are more other resume samples for different job positions that you can use as inspiration.